Visit El Paso Links to Us! 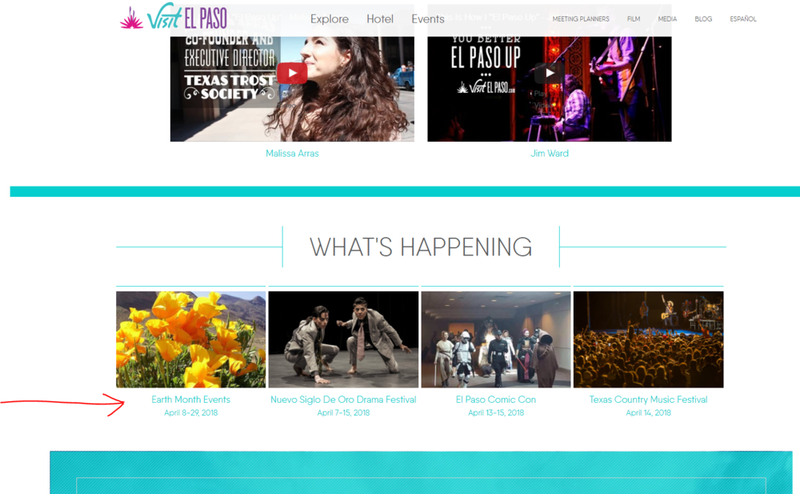 Visit El Paso, the online presence of Destination El Paso, has linked to our Earth Month calendar on this site and then has posted our events on their events calendar. Pretty cool! Thank you Destination El Paso! Attached you will find a snapshot of homepage (visitelpaso.com) placement. This links to http://www.celebmtns.org/earth-month-events/. Each event has also been listed on the calendar and app. Links to each event are below. Thank you and feel free to contact us with any questions.